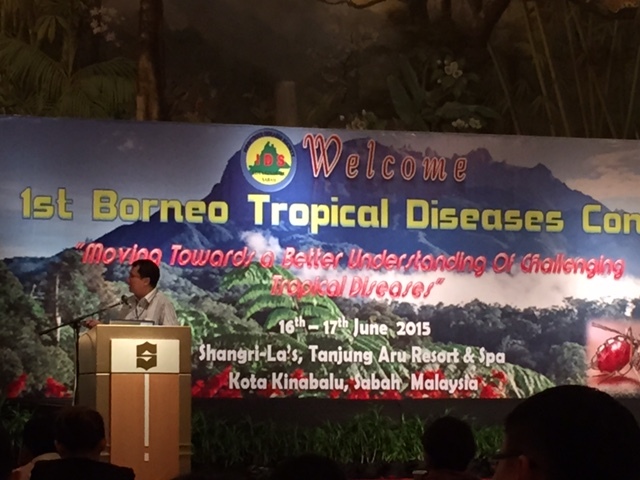 Currently attending the 1st Borneo Tropical Diseases Congress, held at the Tanjung Aru Resort in Kota Kinabalu, Sabah, Malaysia. 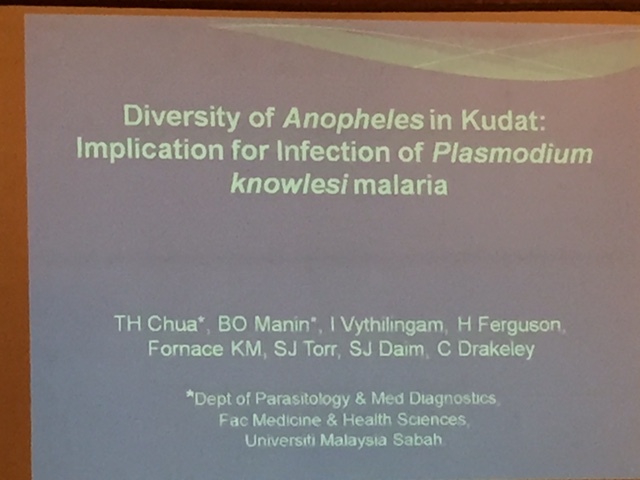 This 2-day event is organised by the Infectious Diseases Society Kota Kinabalu Sabah, which is currently led by Dr. Timothy William – an infectious diseases physician who has published extensively on malaria and other tropical diseases while maintaining an extremely busy clinical practice. 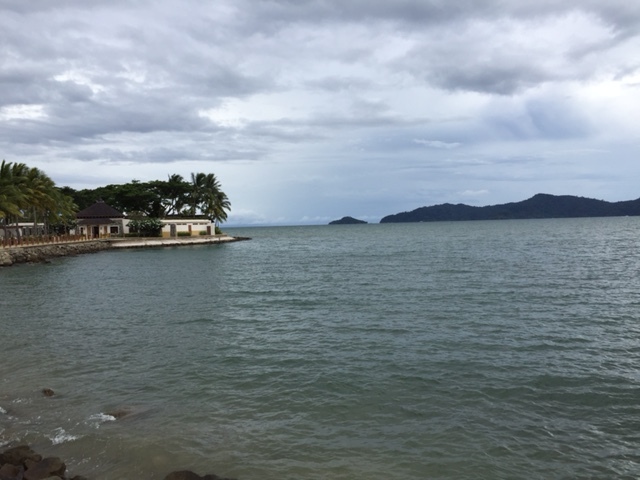 View of Sabah from Tanjung Aru Resort in Kota Kinabalu. 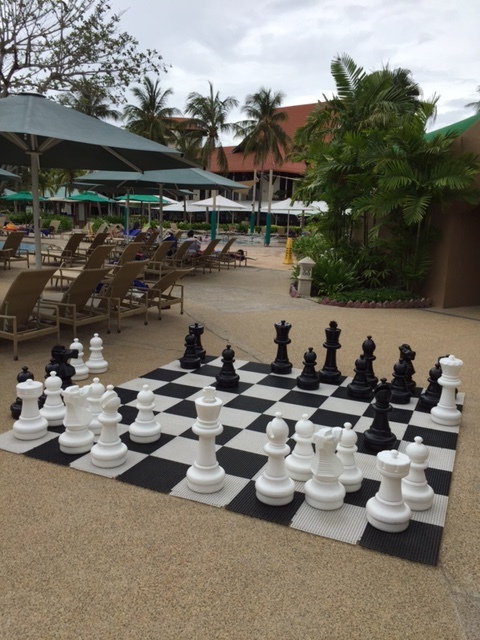 Huge chess set near the beachfront of the resort – not used at the time of my visit. As might be expected, the first day’s sessions were mostly about malaria, both human (Plasmodium vivax and to a lesser extent, P. falciparum) and monkey (P. knowlesi). 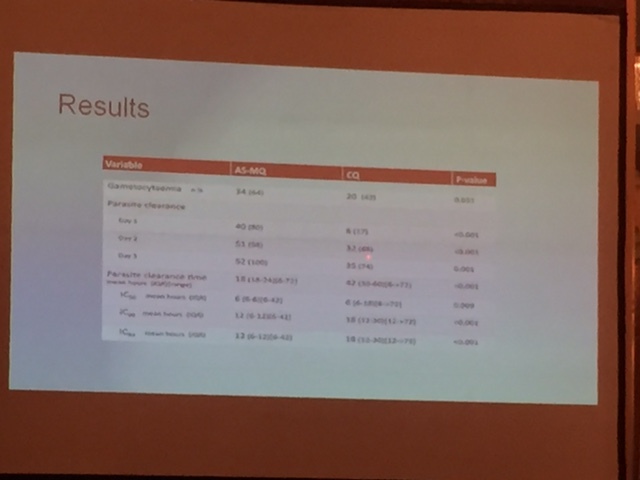 … the results of the artesunate vs. chloroquine trial in vivax malaria, conducted in Sabah. 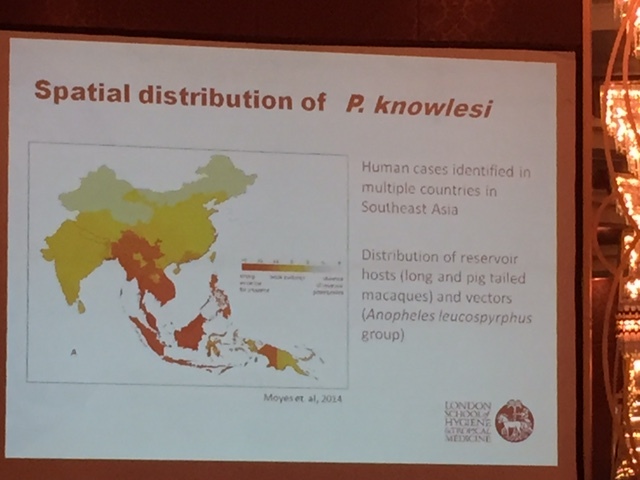 A study on the spatial distribution of Plasmodium knowlesi in Sabah presented by Ms Kimberley Fomace, with aerial images obtained using unmanned drones, and GPS tracking of volunteer villagers. … the diversity of Anopheles spp. (and Plasmodium spp. in these mosquitos) in parts of Sabah, Malaysia. 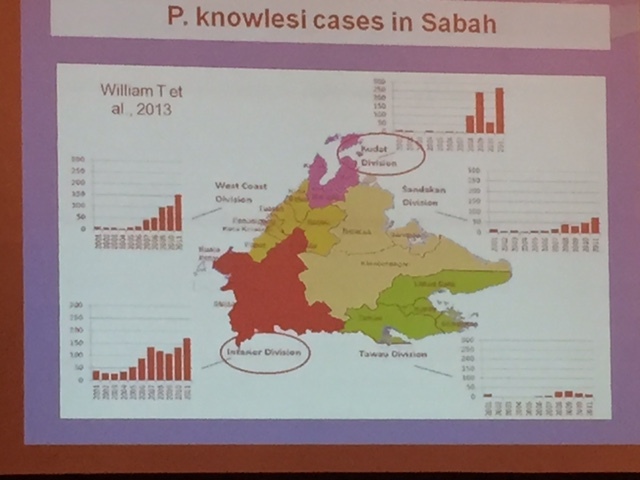 Different parts of Sabah with differing incidences of Plasmodium knowlesi infection. 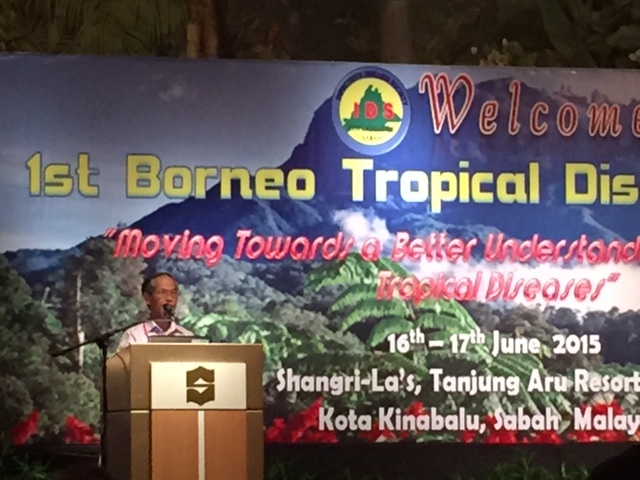 The conference venue was packed, with more than 100 participants from all over Malaysia, and also from the region.